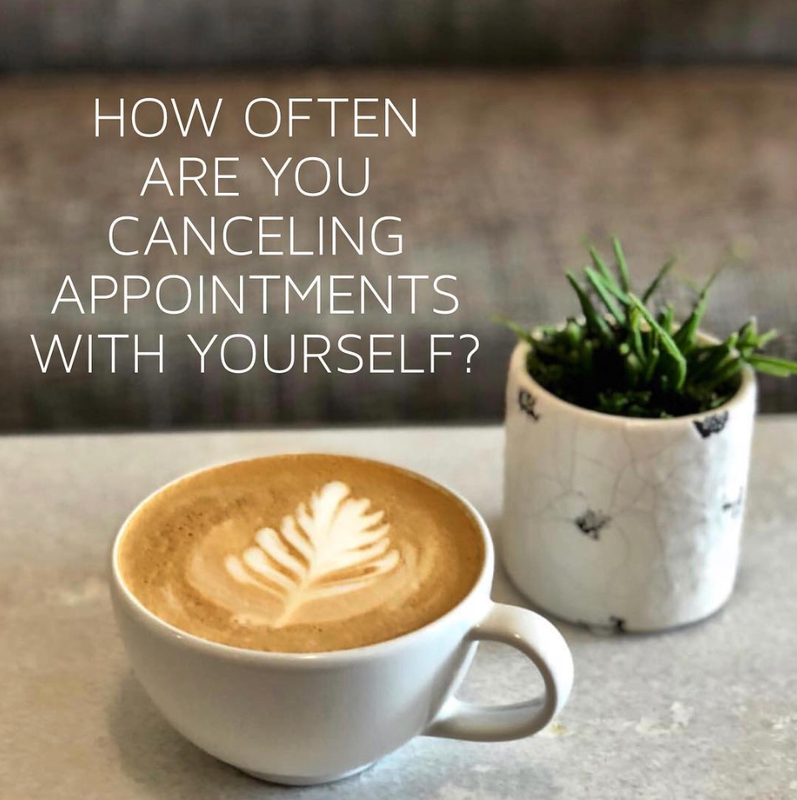 How often are you canceling appointments with yourself? It’s easy to do, you’re the only one that’s going to know. So do you keep your appointments / plans / schedule with yourself? Do you often push projects & workouts? 1 - Block the time on your calendar. If something else comes up, you better find the time THAT WEEK. Don’t push it past Sunday night. 2 - Have an accountability partner. Someone you schedule 15 minutes with each week to track your progress. If you don’t feel like you can ask a friend, hire a coach. OR get really good at setting reminders and tasks for yourself. There is always a way, if something is important enough, you will make the time.